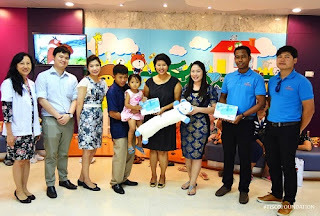 TISCO Foundation: มอบทุนรักษาพยาบาลให้กับ ด.ญ.ณิชาภัทร - TISCO Foundation has donated a medical care grant to Nichapat Phochaila. มอบทุนรักษาพยาบาลให้กับ ด.ญ.ณิชาภัทร - TISCO Foundation has donated a medical care grant to Nichapat Phochaila. 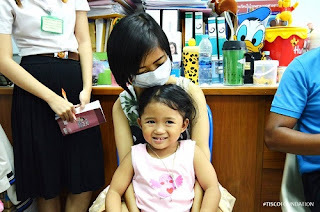 TISCO Foundation has donated a medical care grant to Nichapat Phochaila. She was born with thalassemia and has been a patient at Chulalongkorn Hospital.The foundation donated an infusion pump, THB 25,000 in value. But her family could contribute THB 10,000. So, we covered the rest of the expense.